If your project or company has changed names, you can update the name of your organization to match. Tip: Only organization owners can rename an organization. For more information, see "Permission levels for an organization." What happens when I change my organization's name? After changing your organization's name, your old organization name becomes available for someone else to claim. When you change your organization's name, most references to your repositories under the old organization name automatically change to the new name. 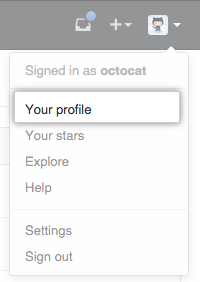 However, some links to your profile won't automatically redirect. GitHub automatically redirects references to your repositories. Web links to your organization's existing repositories will continue to work. This can take a few minutes to complete after you initiate the change. You can continue pushing your local repositories to the old remote tracking URL without updating it. However, we recommend you update all existing remote repository URLs after changing your organization name. Because your old organization name is available for use by anyone else after you change it, the new organization owner can create repositories that override the redirect entries to your repository. For more information, see "Changing a remote's URL." Previous Git commits will also be correctly attributed to users within your organization. Links to your previous organization profile page, such as https://[hostname]/previousorgname, will return a 404 error. We recommend you update links to your organization from other sites. API requests that use the old organization's name will return a 404 error. We recommend you update the old organization name in your API requests. There are no automatic @mention redirects for teams that use the old organization's name. Near the bottom of the settings page, under "Rename organization", click Rename Organization. "Why are my commits linked to the wrong user?"